If you are looking to beef up your security, you may have given though to installing a security camera in your home or office…but what kind of security camera? CCTV or analog cameras and IP cameras are the two main categories, but there are a wealth of options within these two. This comparison article should clue you in to the major differences so you will be better able to make an informed decision. The main difference between a CCTV camera and an IP camera is how they transmit video. While a CCTV camera converts the video signal into a format that can be used by a television, VCR or monitor, the IP camera digitizes the video via an encoder that is connected to a web server. This is why IP cameras can function as network devices, with the video being accessible through a network as well as through a web browser on the Internet. In any case, both types of cameras can be used to send signals via wireless or wired connections, although IP camera have the further advantage of compatibility with various switches, hubs, and routers, all of which expand its transmission capabilities considerably. One area wherein CCTV cameras have the edge over their IP-based counterparts is in flexibility of design. These types of cameras are generally available in a wider array of different designs, and selections range from mini cameras to larger PTZ models. For more specialized surveillance purposes, CCTV cameras generally provide a lot more options. It is also easier to mix and match CCTV cameras with other brands due to their greater compatibility range. This is why such cameras are better options if you already have one or more cameras from other manufacturers that you want to use in a more comprehensive surveillance system. What IP cameras have going for them is the capability to be used with different wiring schemes. This is because such cameras function as standalone network devices in their own right, which means that they can readily be used with the network setup that you already have in place. The main drawback to CCTV cameras is interference. These types of cameras are prone to signal degradation and dropouts, and they have the further disadvantage of a greater risk of "tapping", since the signals cannot be encrypted. This opens you up to potential security risks. 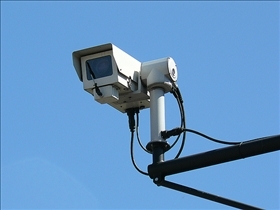 The fact that CCTV cameras are generally limited in range also causes many users to seek other alternatives. Conversely, IP cameras offer much better wireless reception and built in encryption, which makes for a more secure network setup that is also less prone to signal interference. Which security device is most reliable? Hi Thanks for a good comparison provided to the prospects. May be you can go thru our product which is a true Plug & Play IP cam and recommend the same to your clients who look for a good IP camera which is easy to install , use and maintain. You have made comparison in a very comprehensive way.Now it will be very easy to differentiate between both of them and choose an appropriate device for different locations.It is very important to discuss with experts on such issues.If you need any information or security equipments then contact us.Thanks for sharing this article. Inkjet Printer vs. Laser Printer: Which is better? iPad vs. Netbook: What's the difference?